A brief history of the community founded by Dr. A.J. 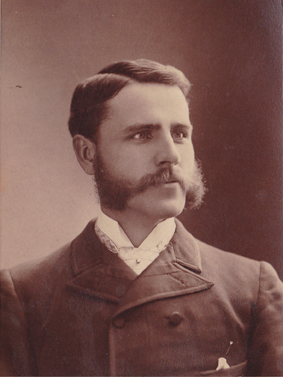 Chandler on May 17, 1912. The town then consisted of three wooden shacks -- the townsite office, a dining hall, and the Morrison Grocery. There was also a billboard marking the site of the elegant future Hotel San Marcos. Dr. Chandler had an ambitious plan that was well ahead of his time. He envisioned a landscaped central park that would be surrounded by businesses. The walkways in front of the buildings would be covered by a trellis-like roof, supported by colonnades. Deed restrictions required land owners to build on their land within one year. As the years passed, cotton became the most common and profitable crop in Chandler. By the time World War I began, long-staple cotton was in demand to be used for the production of rubber tires and aircraft fabrics. 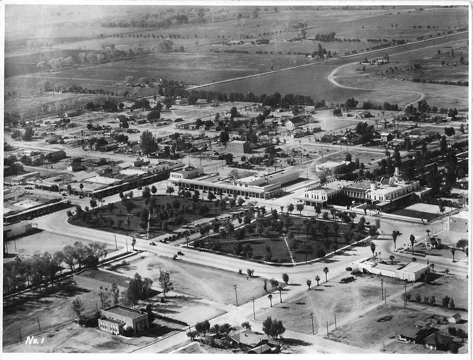 During the war, the Goodyear Tire Company leased 8,000 acres south of town from the Chandler Improvement Company and built the town of Goodyear (now known as Ocotillo).